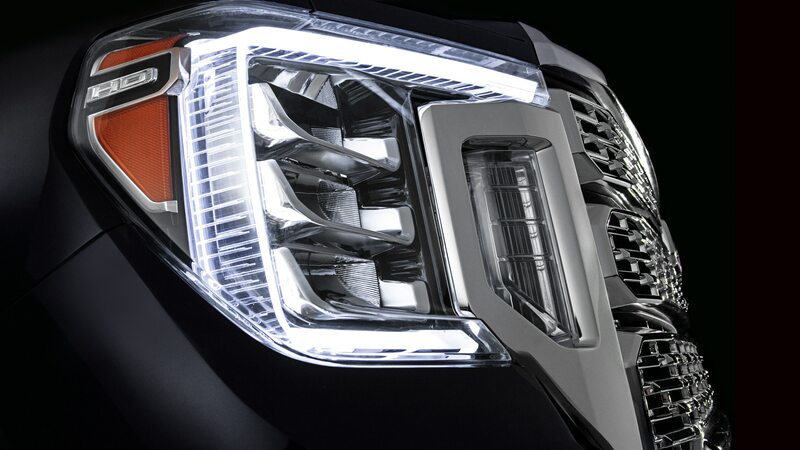 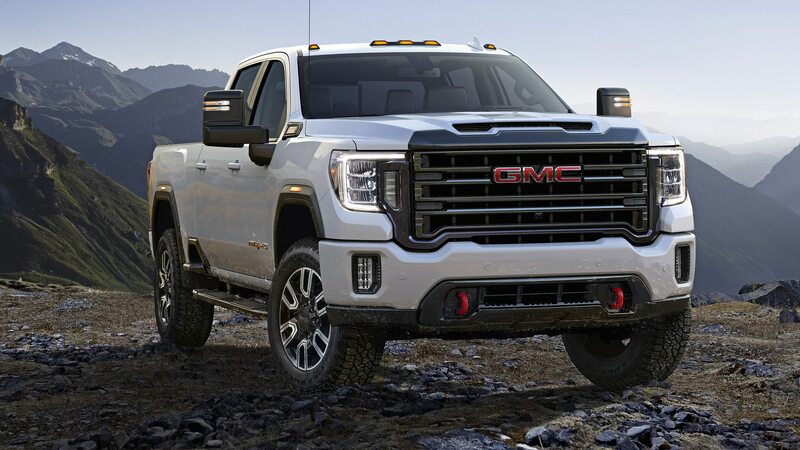 If the latest GMC Sierra 1500’s gigantic, in-your-face grille has you yearning for more, wait until late summer, when the heavy-duty version of the all-new pickup truck comes to market with a longer wheelbase, the six-function MultiPro tailgate, an optional 6.6-liter Duramax diesel rated for 910 pound-feet of torque, and, yes, a massive grille. 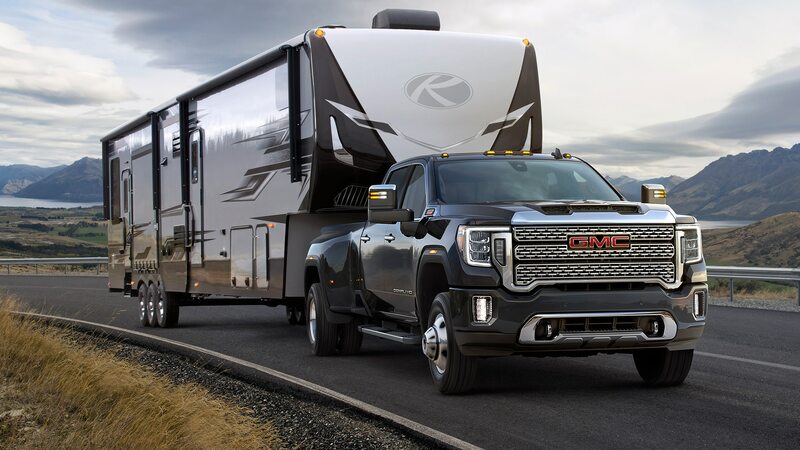 The 2020 GMC Sierra HD will once again be available with the marque’s high-zoot Denali luxury trim, while it adds the AT4 off-road package as an option for single-rear-wheel 2500 and 3500 Crew Cabs. 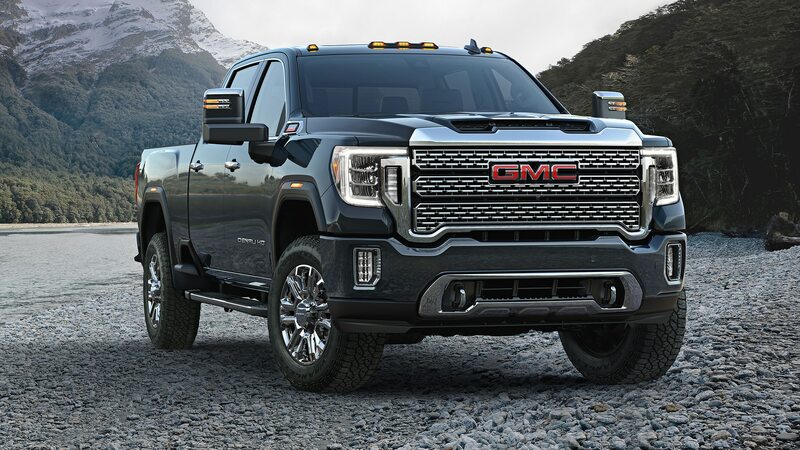 While the Sierra HD’s Duramax falls 90 lb-ft short of the new Ram HD’s max torque figure, the GMC’s turbo-diesel makes 45 more ponies, for a total of 445. 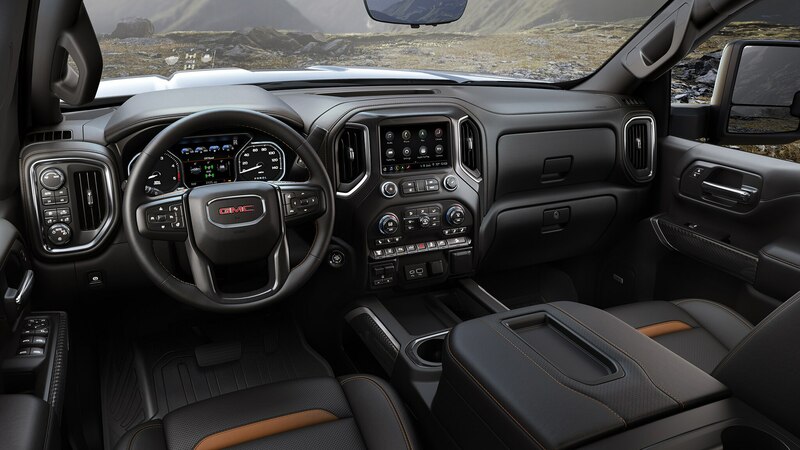 The big, torquey diesel is coupled to a 10-speed Allison automatic transmission. 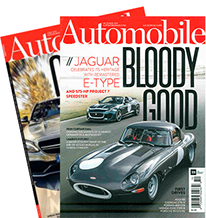 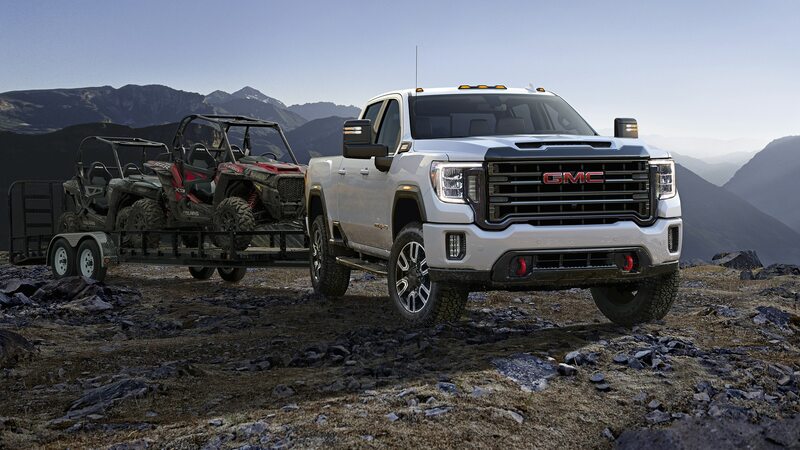 Maximum towing is cited as being “well in excess of 30,000 pounds,” although final numbers will have to wait until later, as will details on an all-new 6.6-liter gas V-8 engine that we expect will make around 400 horsepower and 450 lb-ft of torque. 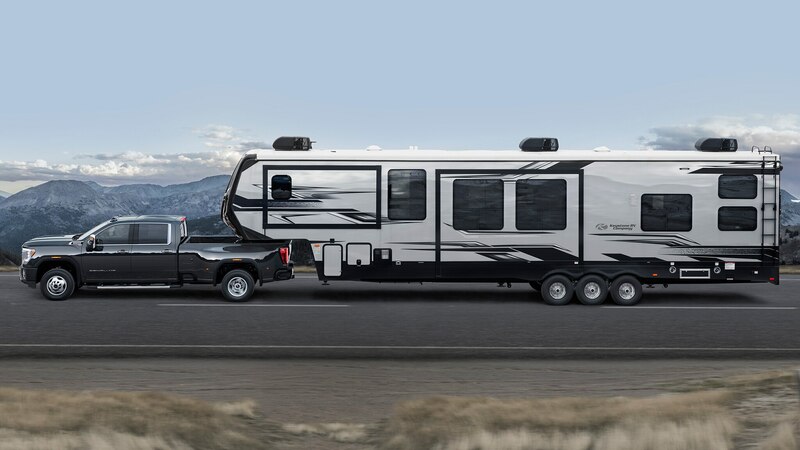 For reference, the recently unveiled 2020 Ram HD can pull as much as 35,100 pounds, and it gets 410 horses and 429 lb-ft from its gasoline V-8. 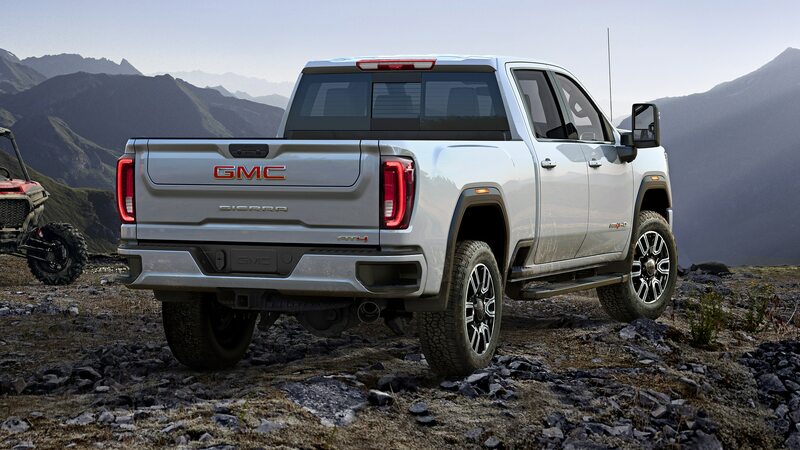 The GMC Sierra AT4 Heavy Duty package includes an off-road suspension with Rancho shocks, a set of skid plates, an Eaton locking rear differential, 18-inch wheels with Michelin all-terrain tires (20-inch wheels are optional), and a Traction Select System with Off-Road mode. 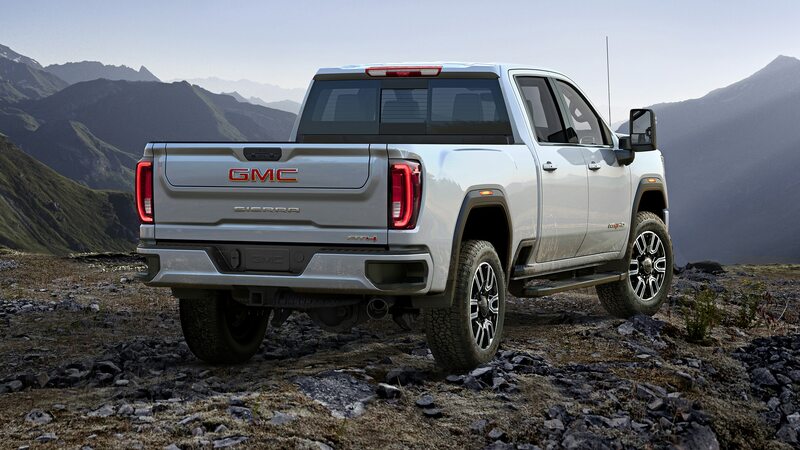 It also brings hill-descent control with hill-start assist; a huge, 15.0-inch head-up display with an off-road inclinometer; HD Surround Vision for low-speed views (basically a multi-camera view that allows you to place the truck more accurately over obstacles); dark chrome exterior finishes; and a body-color grille surround and bumpers. 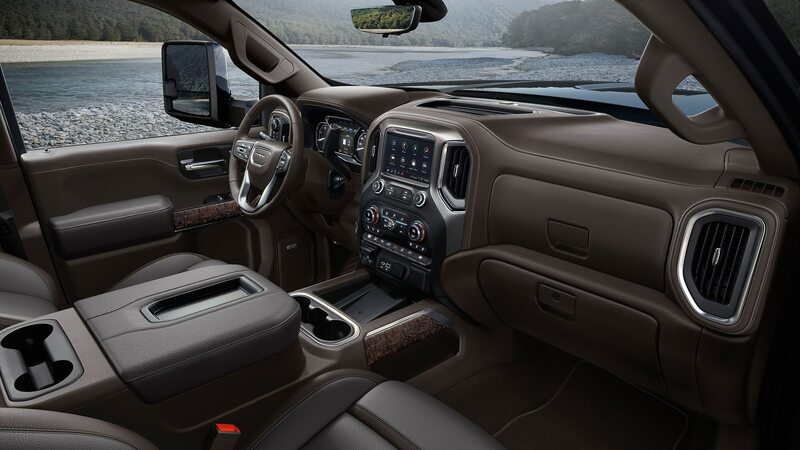 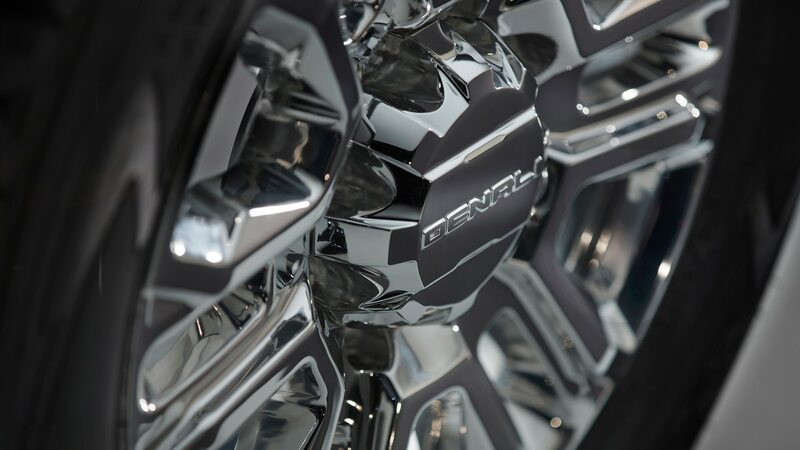 The Denali trim upgrade adds a huge pile of convenience and luxury goods, including premium leather upholstery, open-pore wood cabin accents, and dark-finish aluminum interior trim. 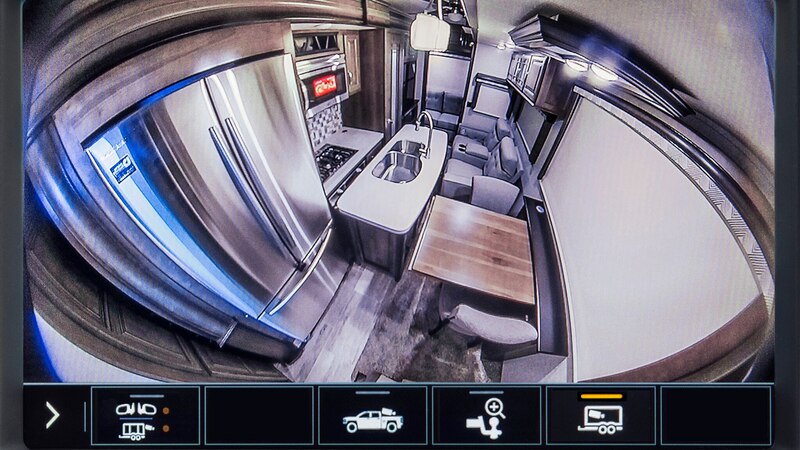 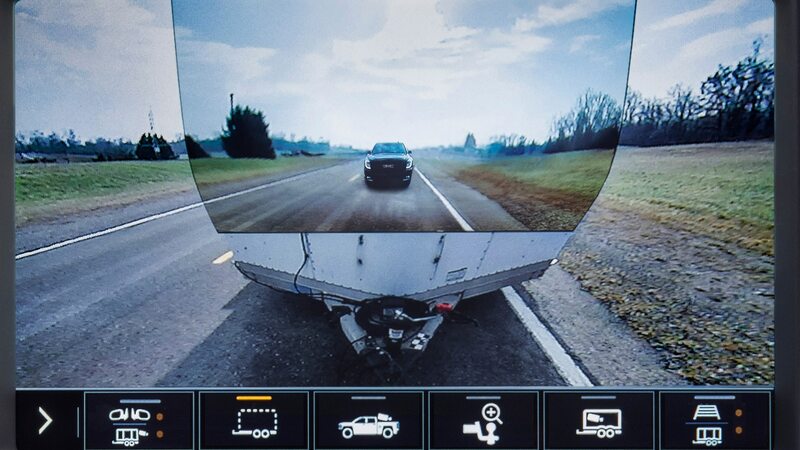 Other big features of GMC’s big truck include an enhanced ProGrade Trailering system with no fewer than 15 camera views, an available iN-Command smart trailer system that can be controlled via a myGMC mobile app, and a rear camera mirror. 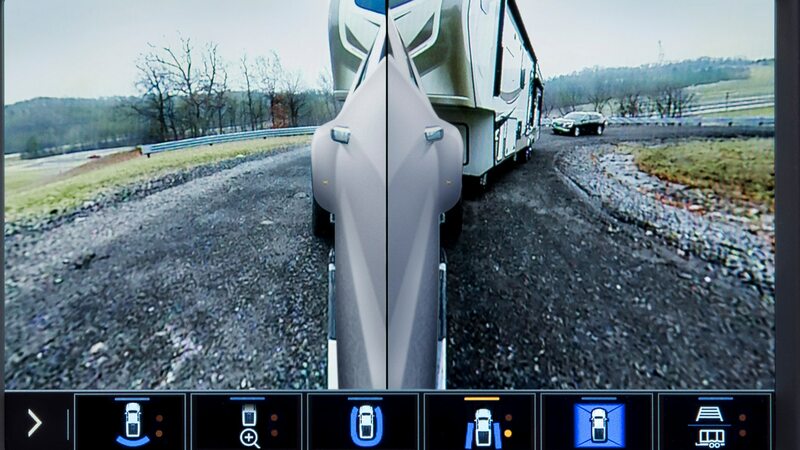 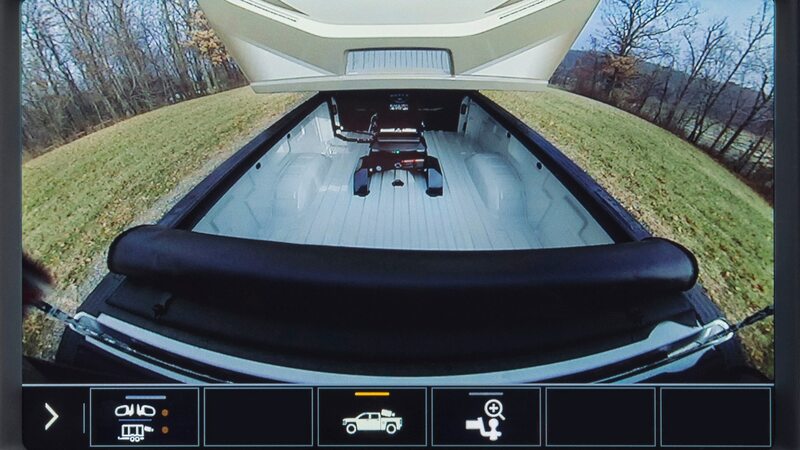 Included in the ProGrade Trailering system is a remote camera that can be mounted on a trailer. 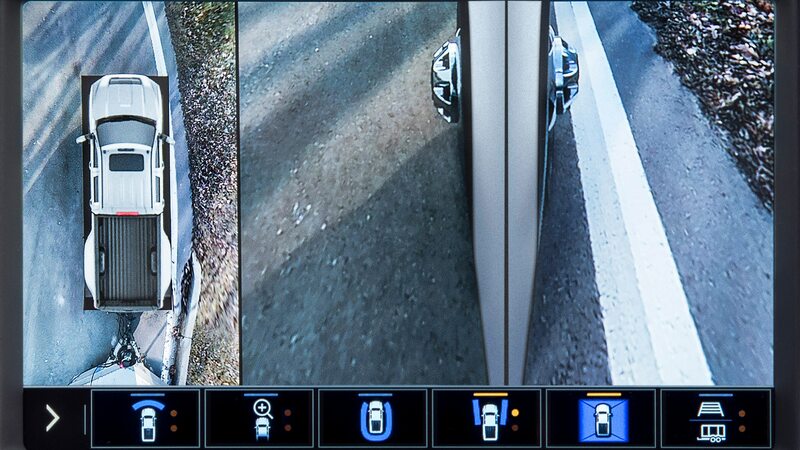 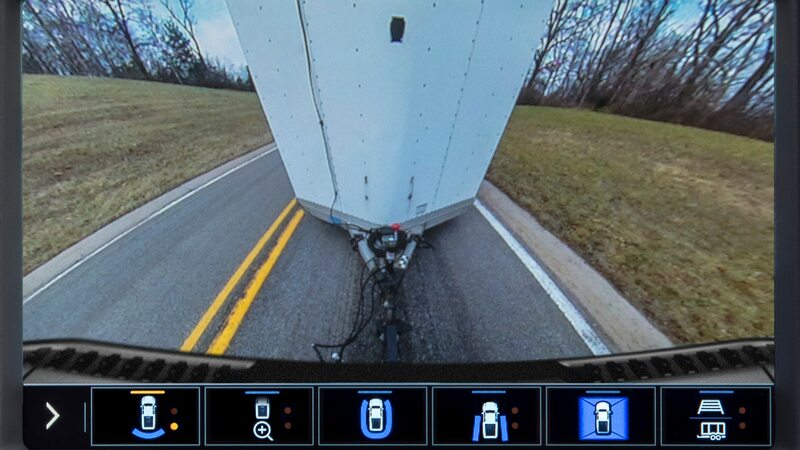 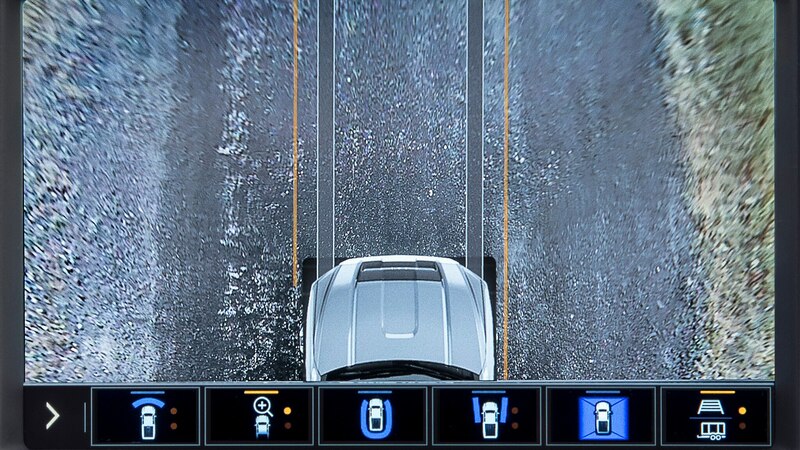 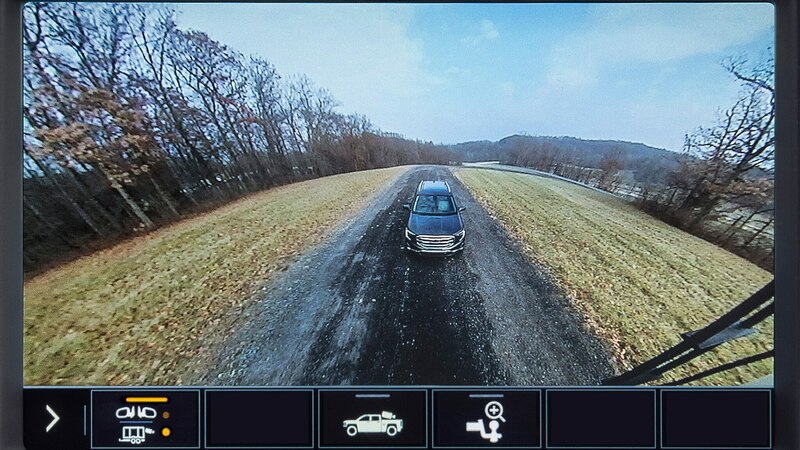 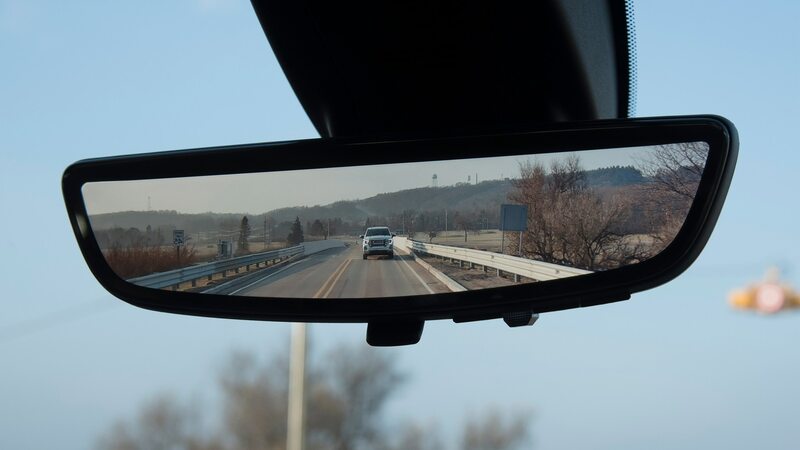 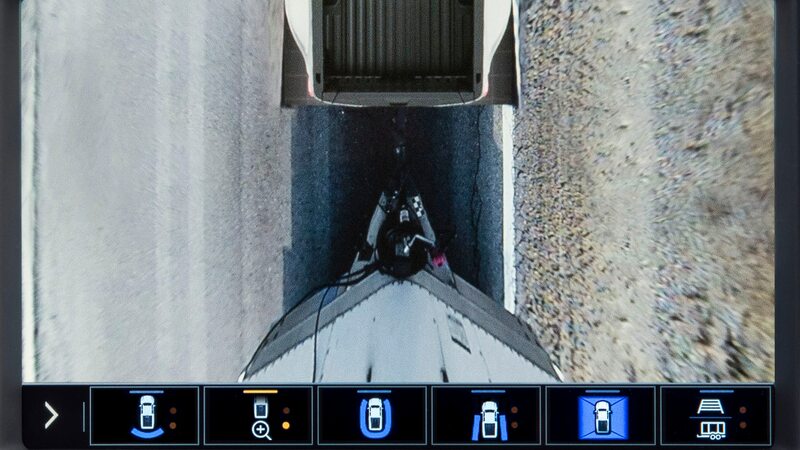 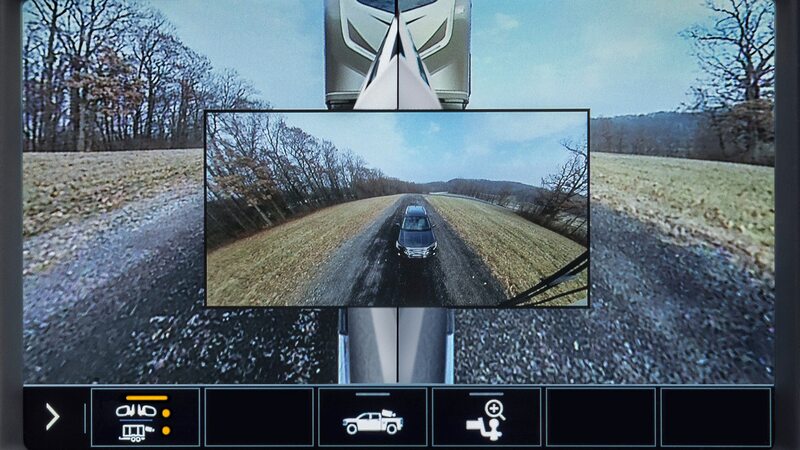 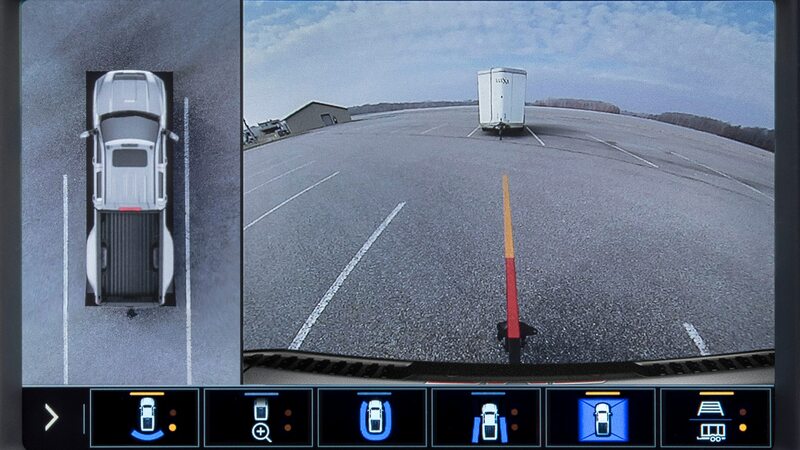 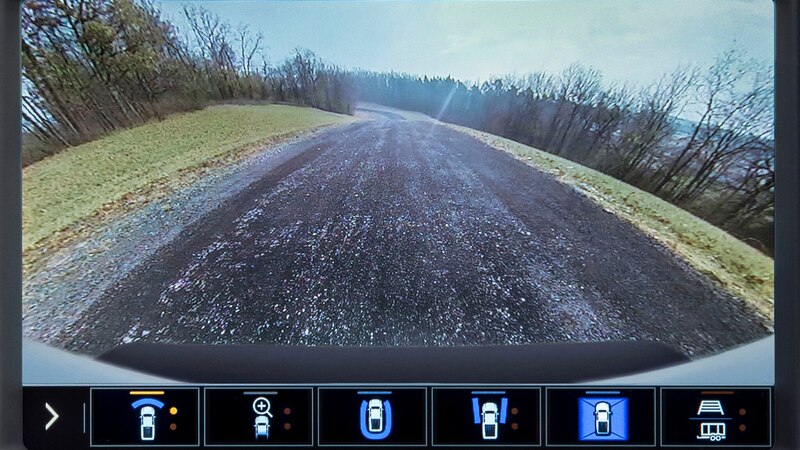 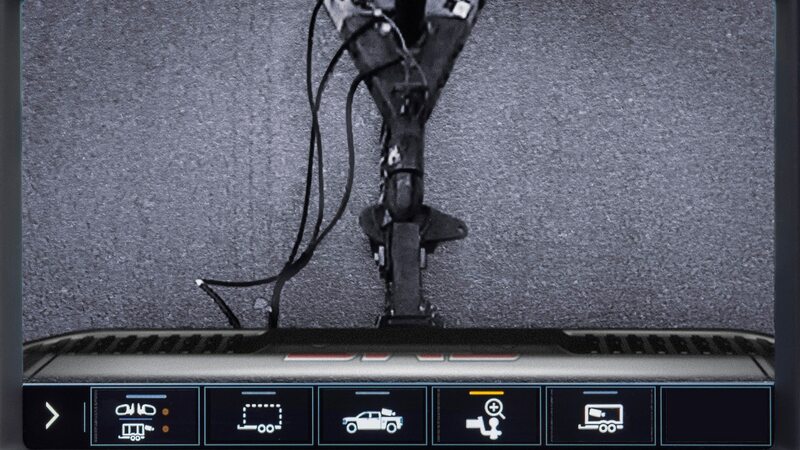 When combined with the system’s tailgate-mounted camera, the remote trailer camera can help the driver “virtually see through the trailer,” GMC says. 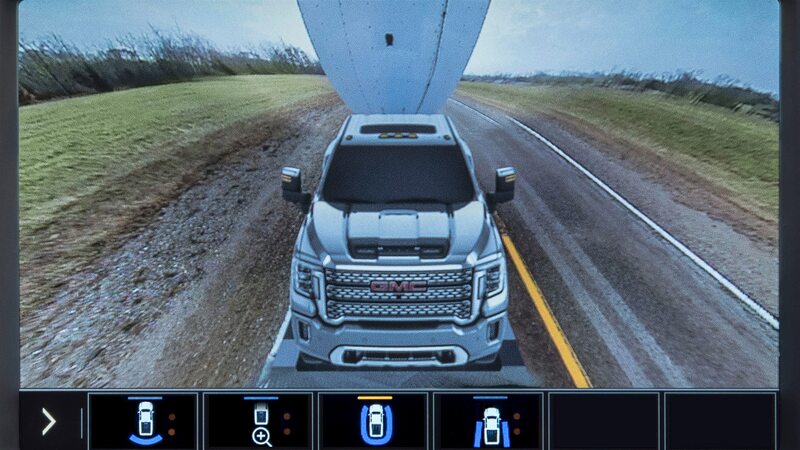 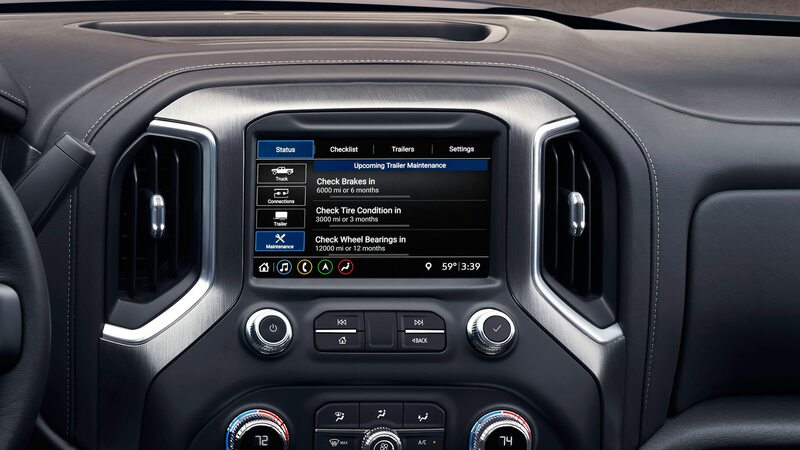 Using the iN-Command control system from supplier ASA Electronics, the driver can turn on a trailer’s air conditioning or water heater, and can monitor holding tanks or generator fuel levels from the myGMC mobile app on their phone or via Apple CarPlay or Android Auto integration. 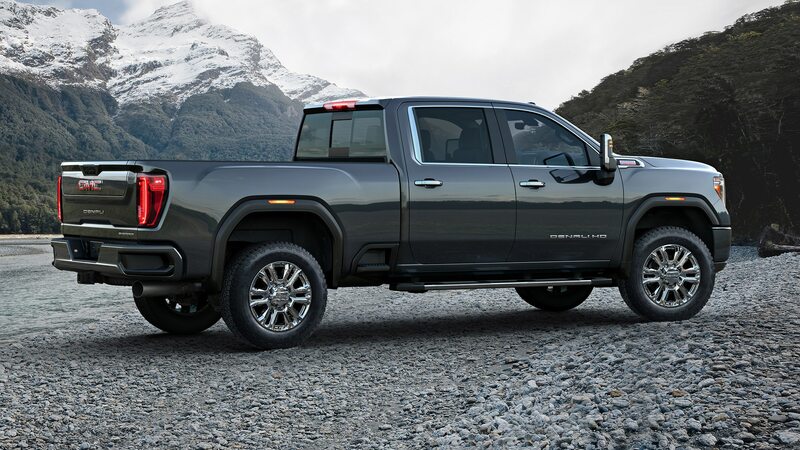 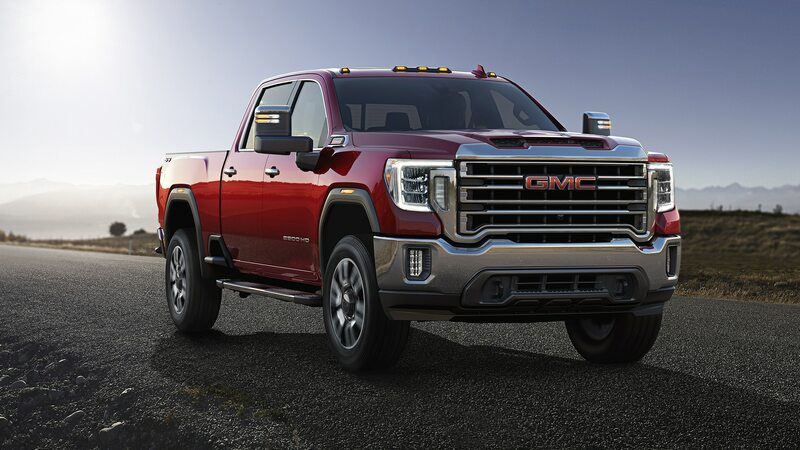 For big-truck spotters, GMC says the new Sierra HD distinguishes itself from the outgoing model with a taller cab, a longer wheelbase, a more dominant hood line, and a larger grille with a functional hood scoop to cool the Duramax diesel. 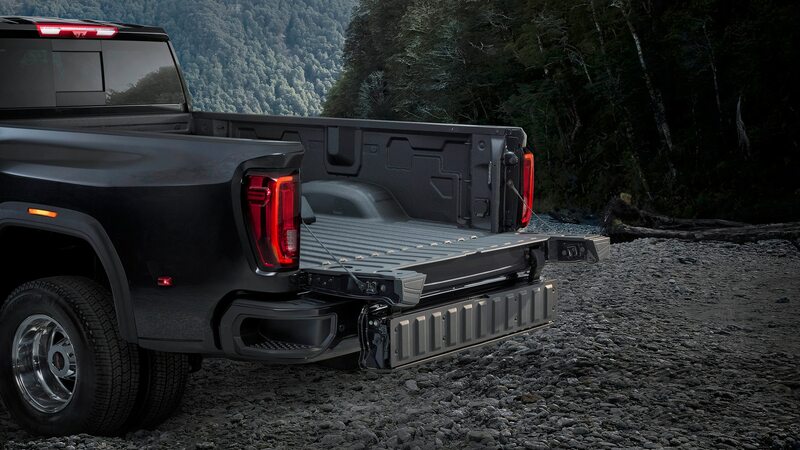 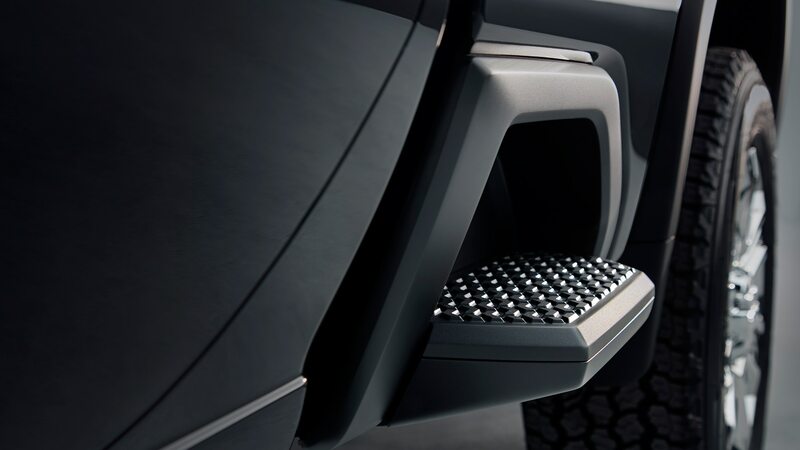 The brand also cites class-leading heavy-duty cargo bed volume (the number was not disclosed), 12 corner tie-downs with a new optional 120-volt power outlet, one-inch lower bed lift-in height, and segment-exclusive cargo bed side steps on all box styles. 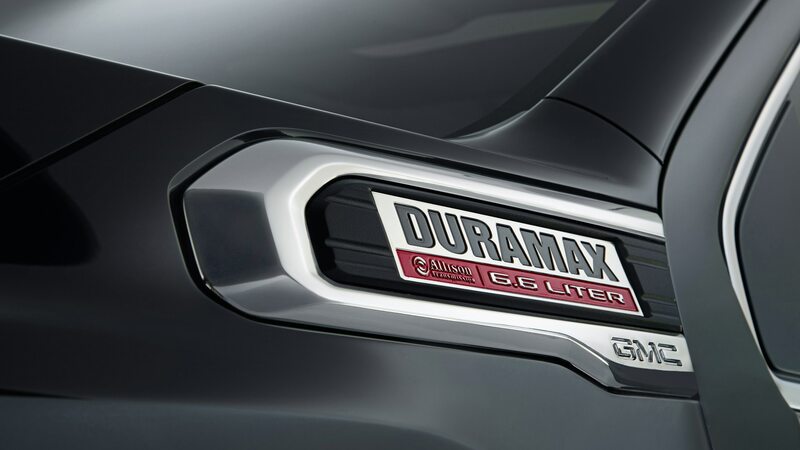 The MultiPro tailgate is standard on the Sierra HD SLT, AT4, and Denali, and optional on all other trim levels.